Primary Inspired: Mmm, Mmm, Math! 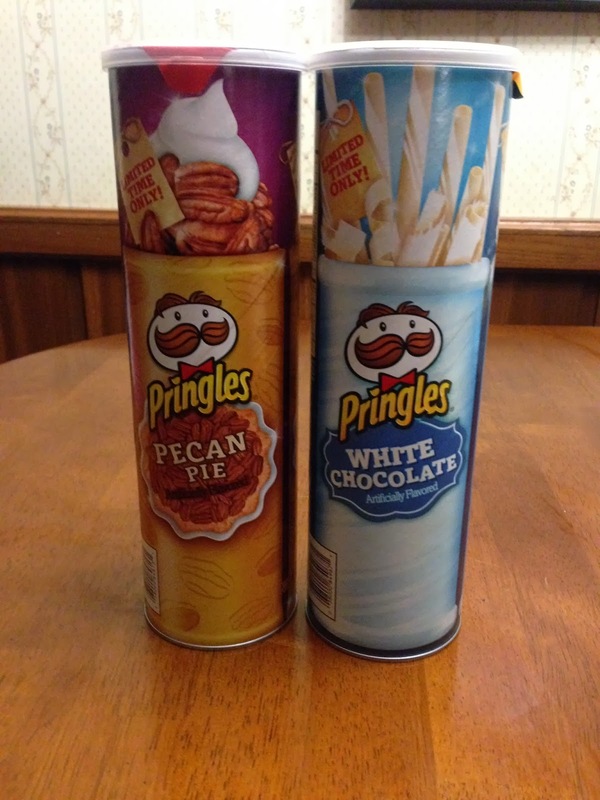 Have you seen these limited-time available -only-during-the-hollidays flavored Pringles? Yup! Pecan Pie flavored potato chips. Or...even better? White chocolate potato chips. Hmmm. 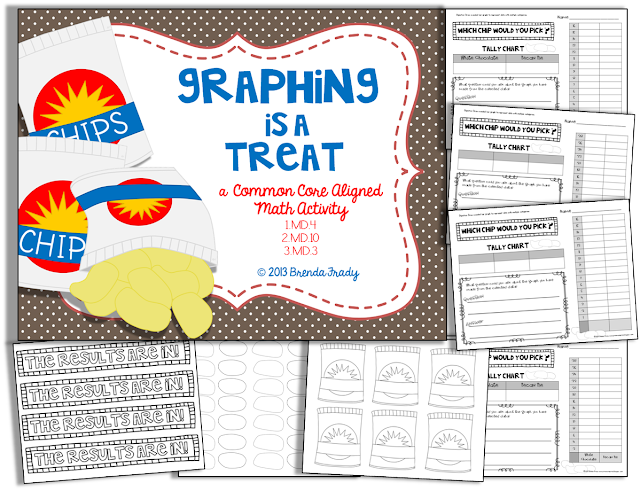 When I saw these in the store, I thought, "What a great opportunity for my kiddos to practice some graphing!" 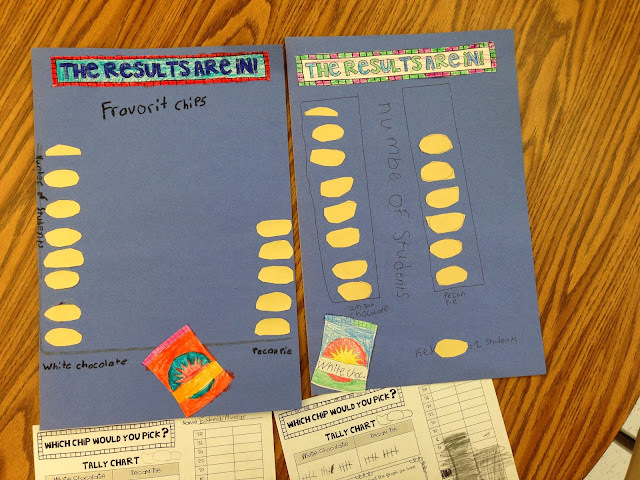 A recent assessment proved my kiddos needed some extra practice with data analysis. What a fun way to collect data....& then analyze! Right? So we set up our taste test. Everyone tried both flavors. 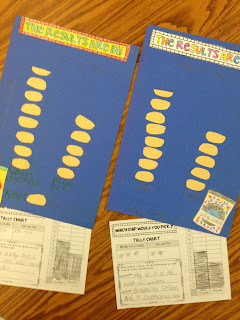 Then we created the tally chart. Individually, they translated the tally chart info into their scaled graphs. 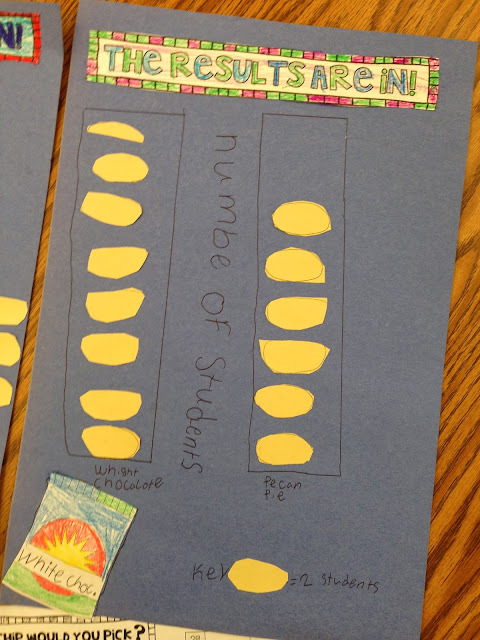 My kiddos were working on a scaled graph where each is worth two. Surprisingly, that turned out to be a bit challenging for them. (Which is why we are practicing......lol). Now, here's the fun part....& the part that told me a lot about where they are. 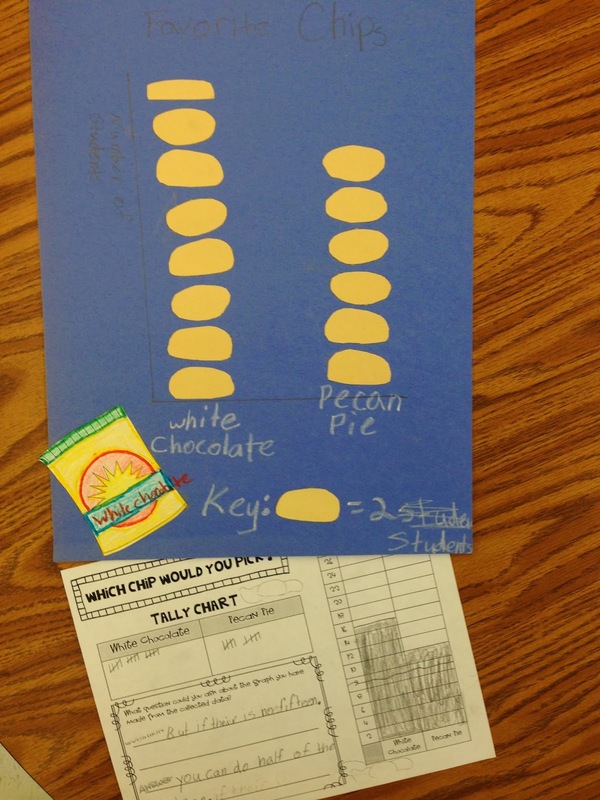 They each made a picture graph with their data. We used chips for the pictures, and each chip had to represent two people. Again, a bit of a challenge...some of us had to pull some off....but that's why we're practicing & will continue practicing. The picture graphs turned out so cute....& best of all, they all learned A LOT from the activity. As you can tell, White Chocolate was the winner in my classroom. Wonder which one would be preferred in your classroom? I've just uploaded this Math Activity pack to my store. There is a page for the two flavors we used, but there's also a page with blank labels in the graph so that you can use any flavors you would like! (Dill pickle, maybe? Salt & pepper?). The graphs are set up for 2 OR 3 categories, and scaled for 1 or 2.